In security, as in law enforcement, a professional patrol vehicle can mean the difference between a crime occurring or not. We all have made a complete stop at a stop sign or reduced our speed when noticing a patrol car in our proximity. This same type of reaction can be obtained when your security company drives the same types of patrol vehicles. 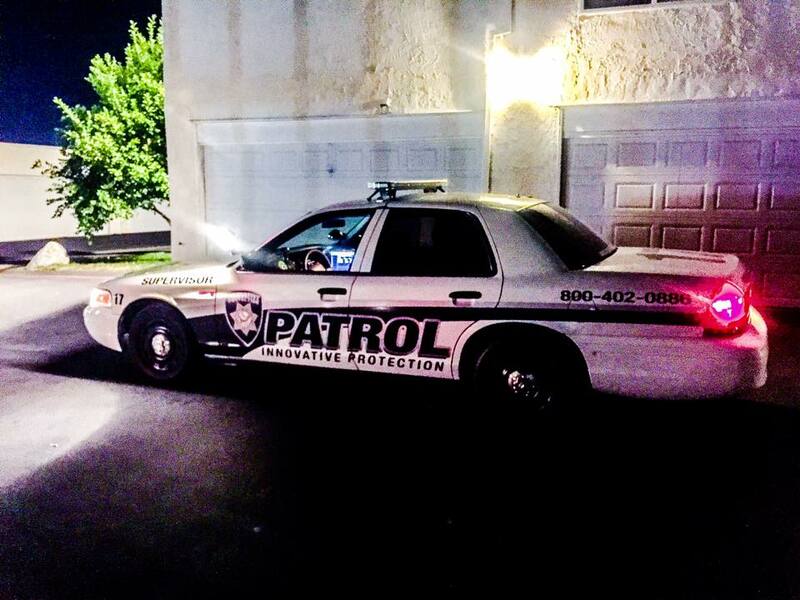 Innovative Protection believes that a professionally equipped, quality security company can help provide a strong deterrent to criminal activity on your property best by delivering a high visibility message announcing an officer’s presence. Not only does this work for your specific property, but can also benefit the entire community by increasing peace of mind for persons living and working in the immediate area. Officers that work in Innovative’s Patrol Division are specially selected and receive training above the level required by the State of California. Most of these officers have prior law enforcement or military training and experience, which means they are significantly more skilled and productive than your average security patrol “rover” provided by our competitors. 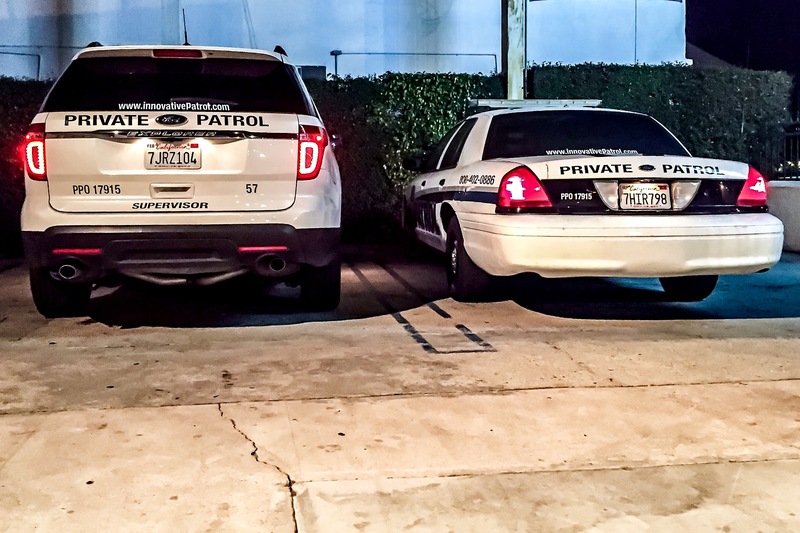 Innovative patrol vehicles are distinctively marked with high visibility reflective striping and graphics to deliver a statement of protection in the communities they serve. Vehicle equipment includes a two-way radio, an emergency light bar (scene and alley lights to assist with visibility during night time patrols), a public address/siren system, two adjustable focus beam LED spotlights, a dash camera, a mounted laptop for documentation purposes, and a restraint system. This equipment enhances the professional and authoritative presence of our officers when they are contacting persons and solving issues on client properties.